How the "Including Subdomains" option works and impacts rankings in AccuRanker. 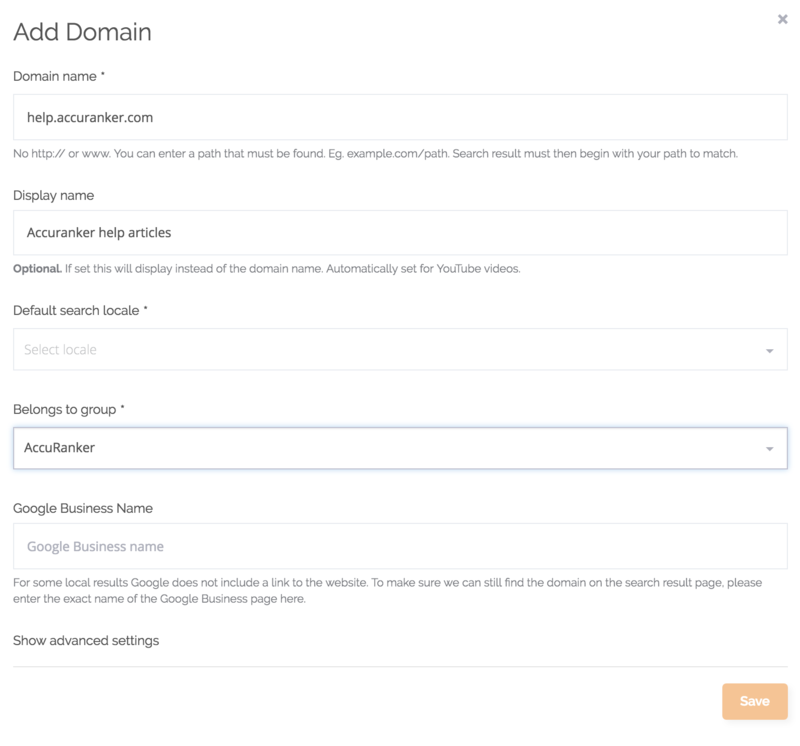 As described in the article on adding a new domain, you have the option of excluding or including Subdomains. The option looks as follows. There is no right or wrong option here, as it all depends on how the domain is set up. When looking at Facebook.com in AccuRanker, ranks only come back when the setting "include subdomains" is set to "on." Facebook.com is added to AccuRanker without including subdomains. Rankings for traffic that is directed to subdomains is not found. 2. Facebook.com is added to AccuRanker including subdomains, all rankings are found. The decision on whether or not to include subdomains, therefore, depends on the technical setup of the site. In some cases, areas of sites are located on subdomains such as help.accuranker.com. In these cases, this can be rank checked separately in AccuRanker. It can be setup when adding the domain, or by changing the domain settings, after the fact. Read more how to Change Domain Settings.